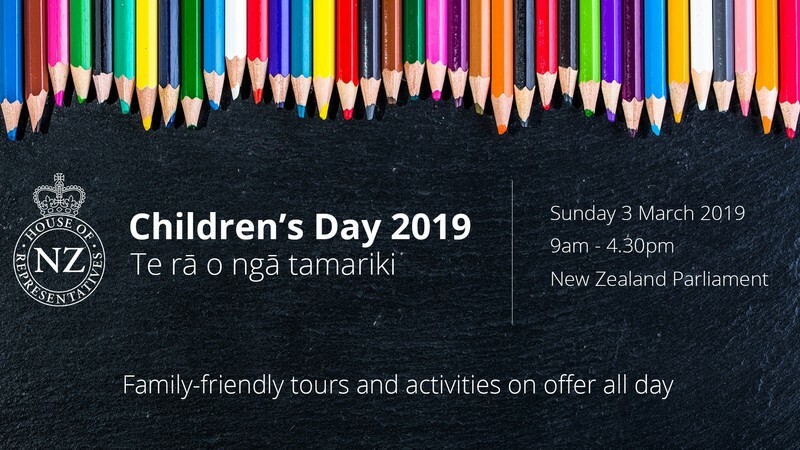 Visit NZ Parliament as we celebrate Te rā o ngā tamariki, Children’s Day, with a range of fun, engaging activities for the whole family! Grab your ‘Passport to Parliament’ and join one of our special, free, 45-minute, child-friendly tours. Tick off the places you visit as you make your way around the Parliament buildings and get your official stamp when you’ve finished. On the tour you’ll visit the spots where the action takes place and important decisions are made while also learning about how everyone can have their say and be involved in what happens here. We’ll be running tours throughout the day, for times and booking information, please see the Parliament website. Also available is our new self-guided outdoor tour. Grab a map from one of our friendly tour guides and visit all the important spots in the Parliament grounds to receive your reward! Although you’ll already be at Parliament you can also try out our new virtual reality tour! Put on the goggles and be guided through Parliament’s buildings from the comfort of our Visitor Centre chairs. If you’ve not tried virtual reality before, this is a must-do – it’s a really novel experience! You can also head along to Parliament's Education Centre to find out more about how Parliament works. While you're there you can even practice being Speaker of the House! Pop on the robe, jump on our replica Speaker's Chair and take a selfie! Finally, don’t forget to bring your picnic basket as once you’ve finished exploring inside Parliament you’re welcome to enjoy a bite to eat on the front lawn while taking in the beautiful grounds of your Parliament.